Server downtime is such a bitter pill that may seriously impair your business. The fact is that no one is immune to the server downtime issues. They may occur of different reasons and at a different time. You can always foresee and quickly avoid server downtime without significant damage to your business. In this article, you will learn how to organize management on your website to prevent server crashing and troubleshoot server down issues. Server monitoring is a process of scanning your servers on a regular basis. It quickly determines any small issues before they become a threat to your 24/7 website availability. Here are some of the most popular tools that do their job best. Papertrail offers a set of tools for managing logs from apps, cloud services, and servers. At Apiko we use Papertrail to track any server errors that occur during the day and quickly tackle them. Logentries is a log management and analysis software for instant log identification and analytics. Let's review some of the general tips that will help to sustain 24/7 server availability. To prevent your website from going down and manage high-load activity, use the tools that share the workload among different servers. It will help you to prevent your app from being overloaded by requests. At Apiko, we use AWS Elastic Beanstalk that allows to automatically distribute the load between the servers (instances), as well as add/remove new instances depending on the backend load. To set this up, we indicate the load (in percents) and the number of instances that should be added under this load. Digital ocean is a cloud computing platform of virtual servers. 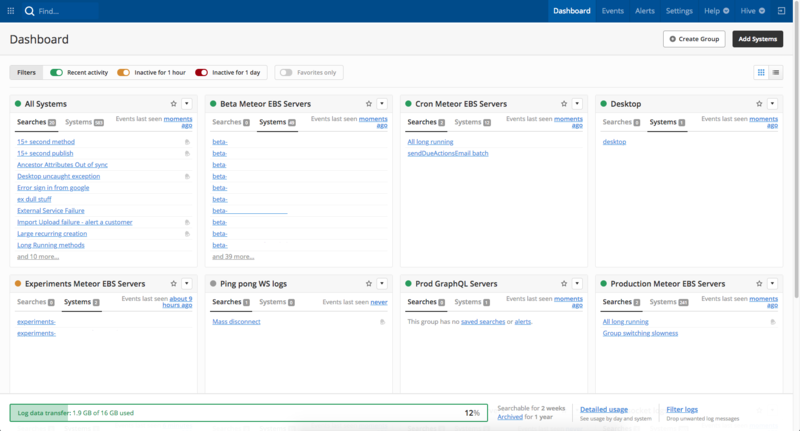 It arms developers with an integrated toolset for monitoring server metrics, receiving alerts about thresholds, and tracking summary analytics. Other goodies include tracking CPU/disk usage, a percentage of physical RAM, and bandwidth usage. There are two types of database scaling: horizontal and vertical. Vertical scaling means adding more virtual or physical resources to your existing server (such as more storage, memory or CPU). Horizontal scaling, in turn, means adding more instances to the server when your app processes more data. Simply speaking, you add more servers that usually have less RAM and processors (e.g. are cheaper and smaller). Consequently, this type of scaling requires fewer costs. Database backup is required for protecting and restoring your data in case of its loss or damage. Always make regular backups of your database and test that backups weekly. Don’t neglect these tips if you want your website to be available 24/7. It’s much easier to take measures that will prevent your server from crashing than deal with the consequences.